This is the second one in a row from a mobile game. Zachary “Sneaky” Scuderi, AD carry for Cloud9 and cosplay extraordinaire, has released another new cosplay on his Twitter and Patreon. His newest cosplay is a character named Tamamo from the mobile RPG Fate/Grand Order, which is based on the popular visual novel Fate/stay night. This particular outfit is her maid costume, which is one of three total in the game. If you’re a fan of the wonderful world of anime waifus, you might want to check the game out, too (there’s definitely quite a few of them in there, at least). 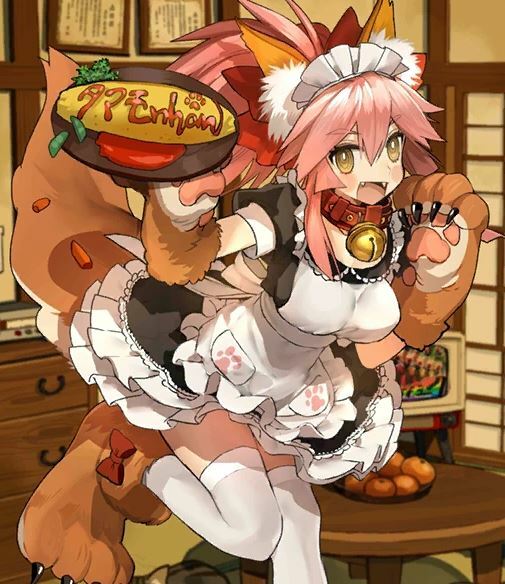 For comparison, here’s an image of maid Tamamo in Fate/Grand Order. If you’d like to see more of Sneaky’s cosplays, including the ones he did for Lux, Sivir, and Soraka, visit his Patreon page, which he updates regularly.